Mike Vera and his team at Remax Gold are focusing on residential, new developments and resales throughout the Bay Area. Mike is highly regarded in the industry by his peers for his work with homeowners, investors and evaluations for some of the largest banking institutions. Mike is a real estate expert who has worked in the industry for the past 14 years and in that time he has cultivated a unique niche market, servicing buyers, sellers and investors. He is an avid communicator who has an innate ability to understand his client's needs. That coupled with his extensive knowledge of the industry and his network of contacts have attributed to his success, which recently landed him as the broker of one of the largest property management groups in California, with offices in Concord, Los Angeles and Orange County. 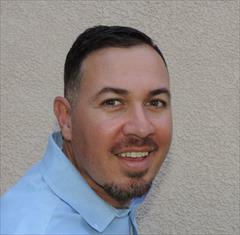 Prior to starting Mike Vera and Associated with Remax Gold, Mike was a broker at J. Rockcliff Realtors in Walnut Creek. Mike and his team branched off in 2012 to help a private investment group purchase over 500 homes in Sacramento and the Bay Area. There were over $75 million of transactions in just over two full years. Mike has built his career focusing on enhancing the real estate experience for those he represents in the process. He doesn't see himself so much as a real estate agent, rather he considers himself a real estate consultant. He offers his clients a full range of services that compliment and enrich the overall real estate experience. He is a perfectionist who goes to all lengths to get the job done properly. Mike prides himself on his network that he often refers to as his support team. Mike holds a Bachelor of Arts degree from UCLA as a double major in both Business Administration and Sociology. He grew up in the East Bay and is the father of three beautiful children. He enjoys running, reading, golfing, traveling with his family and he loves all things related to real estate. Licensed CA Real Estate Broker BRE #01360556. 17 real estate transactions and over 200 homes leased in 2016.